Designed to be an all-rounder vehicle with the skid plates that are in the front and rear, the New EcoSport was built to surpass the toughest conditions. The exterior has been given a bold and aerodynamic shape will ensure that you will look as good as you feel within this vehicle. The new Ford EcoSport has a spacious cabin providing plenty of room for up to five passengers and a generous boot space, which can accommodate up to 364 litres in volume. Benefit from Ford’s award-winning engine by choosing the 1.0 litre 3-cylinder EcoBoost petrol engine, with a choice of either 125PS or 140PS and experience better fuel economy and lower CO2 emissions. If you prefer a diesel engine the EcoSport is the first Ford vehicle to be powered with their brand new 1.5 lire Ford EcoBlue diesel engine. It can spawn a potent 125 PA with is four cylinder, turbocharged, fuel injected technology, while still being fuel efficient, refined and quiet. Stay in control of your EcoSport whatever the conditions with Electronic Stability Control. Electronic Stability Control constantly monitors your vehicle’s progress. It senses when a vehicle is losing grip and automatically applies a braking pulse to individual wheels, helping to stabilise it.  Using advanced sensors from the anti-lock braking and Traction Control System it monitors the behaviour of the vehicle. Available with three different trims, the Ford EcoSport provides you with a multitude of features and specifications to choose from. Some of the standard exterior features that are included with the Zetec trim are 16” alloy wheels, intelligent protection system and manual dimming rear-view mirrors. The Titanium trim comes with additional features such as 17” 10 spoke alloy wheels, rear parking distance sensors and Ford Power starter button. The top of the range ST-Line trim comes with 17” 5 spoke allow wheels, rocker panel, side cladding and partial leather trim seats. Get in touch with us today by phoning or visiting our showroom, where one of our Ford experts will be more than happy to answer any questions and book you in for a test drive. Explore the EcoSport range here..